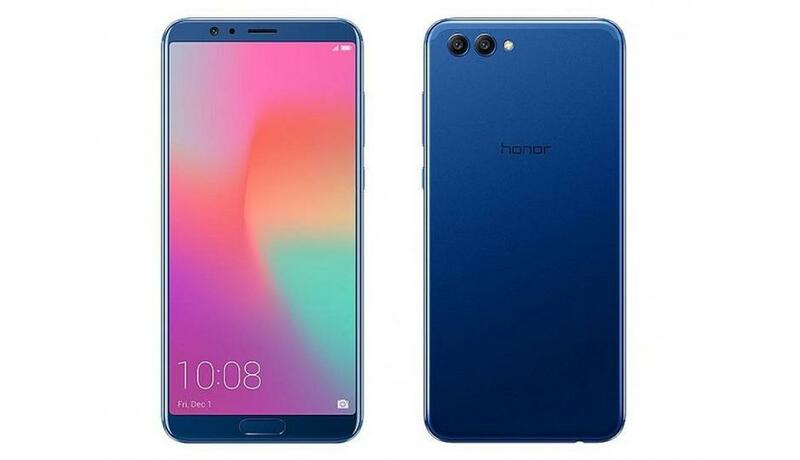 One of the recent smartphone launches is Huawei’s Honor 10. 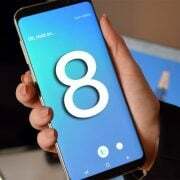 Running Android 8.0, the 5.9-inch display smartphone offers many smart features. The screen of the phone is guarded by NA Scratch Resistant display. It is a dual SIM phone with a 3750 mAh battery. If you are planning to buy it, or if you already own it and want to explore it completely, here is a list of best features of Huawei Honor 10 View. Go to Settings > Apps and Notifications > App Twin – you have a list of apps for which you can use the twin feature. Toggle the feature ON for the app that you wish to use the App Twin feature. Once the feature is enabled, exit the Settings screen you will find two app icons named as – 1 & 2. You will also get the notifications separately on the respective apps icons. There are different ways you can save your battery. There are the Power Saving Mode and Ultra Power Saving Mode which permits only a limited number of apps to run. You also have Screen Resolution under it where you can change the resolution – HD+ or FHD+. 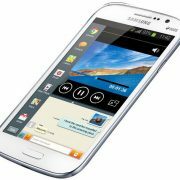 They offer different resolutions and the lower resolution helps in saving battery. This is one of the most important features in the list of best features of Huawei Honor 10 View. The bright light emitted by the screen is irritable and stressful to the eyes. Besides it also hinders your sleep. The Eye Comfort feature helps to filter the blue light from the screen and turns the screen to a yellow tint instead of a blue one. Using the feature is always recommended in darker surroundings or at night. Here is how you can activate this feature. Settings > Display > Eye Comfort > Eye Comfort – toggle it ON. On the same screen just below Eye Comfort you have the option to Schedule the time when you want this feature to turn ON and OFF automatically. There is Colour Temperature slider that you can use to adjust the screen temperature. Depending on how comfortable your eyes feel in warmer hues. Go to Settings > Display > Home Screen Style – you have two options one is the Standard that comes without App Drawer and the other one is the Drawer where you get the App Drawer to launch your apps. Go to Settings > Display > Full-screen Display – you have a list of apps and the option to switch them over to full screen. Locate the app for which you want full screen and toggle the feature ON. PrivateSpace is one of the coolest features of Huawei Honor 10 View. Using the PrivateSpace feature you can create a guest space for those who want to use your smartphone. This keeps all your private content hidden from others while they use your phone. The feature is also quite useful when your kids are using the phone. Just place some apps which you want them to access. You then have the Main Space on your phone and a PrivateSpace. 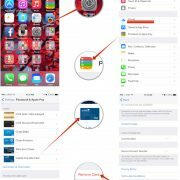 While you are on this screen you will also have the option to change the pattern of your Home Screen and have different setups to distinguish these two spaces. Once you click on enable you will get the option to create a PIN between 4 and 16 digits. As you register a PIN number you will also be prompted to Associate a Fingerprint. Click on Associate but remember to use a different finger other than the finger that you use to access the Main Space. Once registered, you can use different fingerprints to access your Main Space or PrivateSpace. 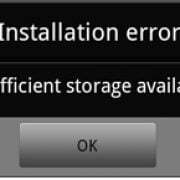 Go to Settings > Security & Privacy > File Safe > Enable – you will find Internal Storage which if you click, you can add all the content that you need to save. You can actually multi-task while watching a video and this feature is known as Floating Video. Towards the upper right-hand side of your phone screen, you will see a small squarish icon which is a multi-window option. As you click on it, you exit from the gallery app and your video begin to play on the home screen. In fact, you can touch and drag it anywhere on your screen. 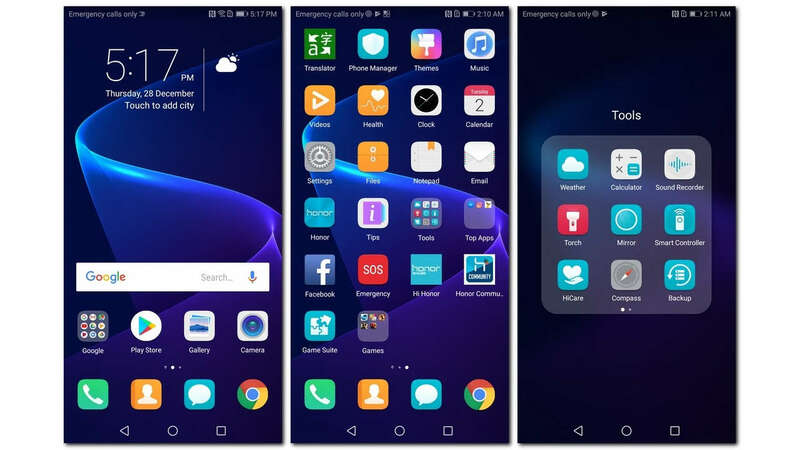 Next in the list of top features of Huawei Honor 10 View is the auto-rotate apps on the home screen. We are all familiar with the Auto-rotation feature available on our smartphones. However, option works for videos which occupy full screen when you flip it to landscape mode. But Huawei phones are unique and the Honor 10 View lets you view your Home Screen in landscape mode too. Go to Settings > Home Layout > Auto-rotate – toggle it ON. Once the feature is on, you can flip your screen to landscape mode and see your apps rotate automatically. Go to Settings > Display > Screen Saver > Screen Saver – toggle the feature ON. As you enable it, you get two more options just below it. The first option asks you to select the source from which the pictures will appear on the phone while it is charging. The second option is the duration for which the pictures will appear on the screen. The Huawei Honor View 10 is an interesting phone with an affordable price. While the features mentioned above are some of the best, there are many more interesting services and features that this phone offers.